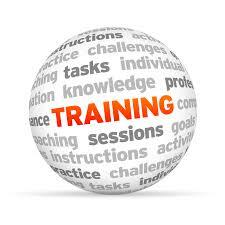 Training - Squadm Technologies Pvt. Ltd.
Making one person in every family literate is one of the integral components of the prime minister’s vision of ‘’Digital India’’. The national digital literacy mission (NDLM) envisages initially to provide.Information and Communication technology (ICT) training to 10 lakh (Ten lakh) persons, one in every eligible household in selected Blocks in each State/UT of the Country. The objective is to impart basic ICT Skills relevant to the need of the trainee, which would enable the citizen to use IT and related applications and participate actively in the democratic process and further enhance opportunities for their livelihood. The person shall be able to access information, knowledge and skill through the use of digital technologies. The scheme is to be implemented in each state /UT. The States/Uts are categorized into three broad categories. (category A,B and C) based on its population. Implementation of the Scheme is to be carried out in around 5-7 Districts in category A States,4-5 Districts in Category B States and 2-3 Districts in category C/Uts. Ten lakh citizens would be covered under the scheme including one lakh to be trained by industry, NGOs and others through their own resources/under corporate social responsibility. “Digital Literacy is the ability of individuals and communication to understand and use digital technologies for meaningful actions within life situations”. The two levels of IT training envisaged under the scheme to have following broad objectives. Appreciation of Digital Literacy (level 1);To make a person IT literate, so that he can operate a computer/Digital access devices (like tablets, etc.) send and receive emails and search internet for information etc. Basics of Digital Literacy (Level2): Besides IT literacy at a higher level, the citizen would also be trained to effectively access the various-Governed services being offered to the citizen by the Government and other agencies. 5.Appreciate the role of digital technology in everyday life, in social life and at work. Recognize the safety and security issues in Digital Technology (security, Health and safety, ethics and social and human issues). Use word processing for making resume, brochure, business card, letter, invitation, etc. Explain the basics of internet, web browser, search engines etc. Appreciate the role of digital technology in everyday life, in social life and at work. In pursuit of stepping further for Digital India initiative, India Government has introduced a new project called National Digital Literacy Mission. The main goal for coming forth with this scheme is rendering IT Training to that section of population, which is still devoid of the basic computer knowledge; so as to help them access the basic e-Governance services. The students will be awarded with the central government certificates. The program is expected to benefit a huge mass of people across all the states of India. There are several motives behind this initiative, but development of India through exerting the information Technology resources remains the principle goal. Owing to the expanding usage of Information Technology resources in day to day work, it has become mandatory to stay equipped with the basic knowledge of computers. Through this scheme there will be nation wide awareness and knowledge about accessing IT resources for basic works. This scheme ensures that maximum number of people get certified by national government, so as to strengthen the grounds for Digital India. There will be instant increase in the digital literacy rate, and this will give a strong foundation to India for future growths. BENEFITS FOR STUDENTS UNDERGOING THE TRAINING PROGRAM: There are number of benefits, that students undergoing the digital training will avail, escalating the growth of nation, as well as the individuals, will be supported. Candidates will gain comprehension of using discrete devices like tablets, and will develop a fundamental knowledge about e-governance services. This will facilitate them with the easy access to technology. Candidates passing the exams, will get the certification directly from central government. They will be awarded with Digital Saksharta Anhiyan Certificate. Being IT literate, candidates will be able to access all the technologies, that will make their daily tasks easy. They will get the training free of cost, and won’t be charged a single penny for the exam and certification as well. They will directly contribute towards the growth of nation by becoming an IT literate citizen. Candidates will get the opportunity to avail the benefits of various e-governance services, which otherwise is not possible for them.